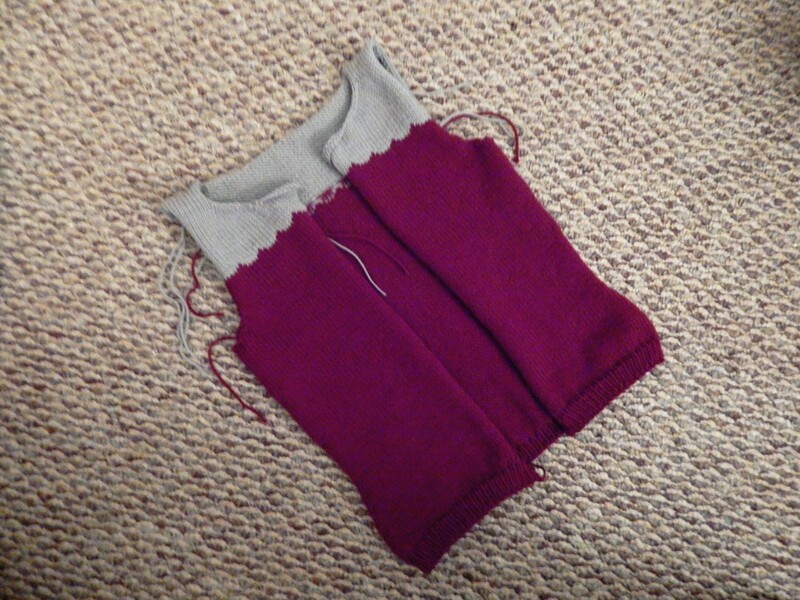 I am currently working on my second Penelope cardigan. I wanted to make a maroon cardigan and figured this was the perfect pattern. Initially, I was going to go with an oatmeal color for the contrast. However, I figured why not make it with a grey contrast? Those are my school’s colors. This project has been flying off the needles. My motivation to finish this is because I have yarn coming in the post to make a green Agatha cardigan, which I am super excited about. 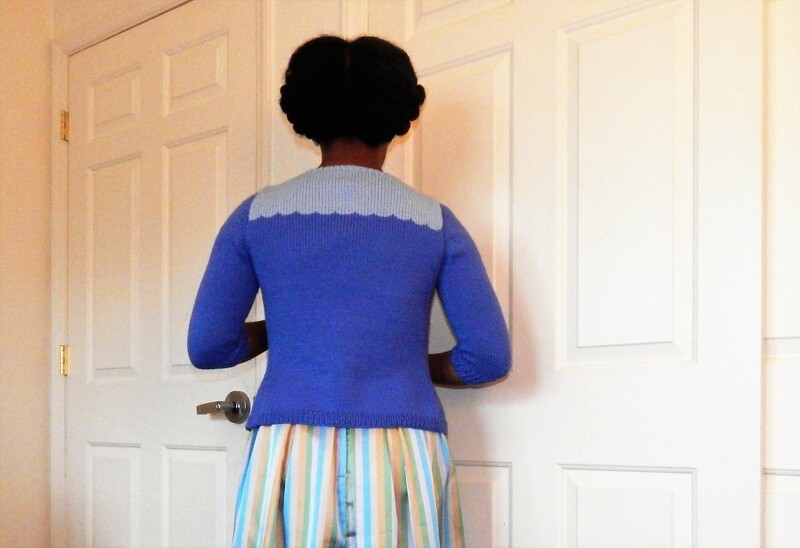 I just realized that I never blogged about my finished Penelope cardigan from the KAL. 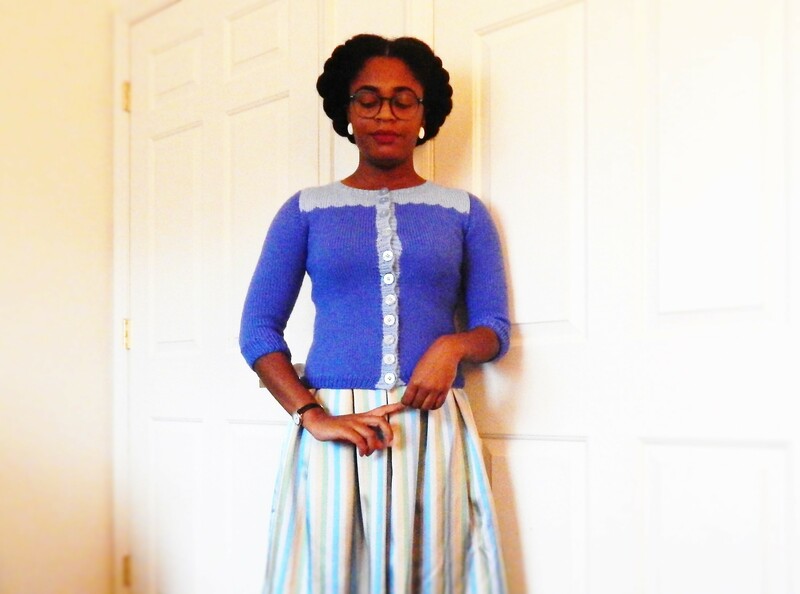 The pattern is Penelope by Andi Satterlund. This project was super clear and quick. I enjoyed making and I’m actually working on a second version in my school colors. From the beginning, I knew I wanted to use two colors that were in the same color family. 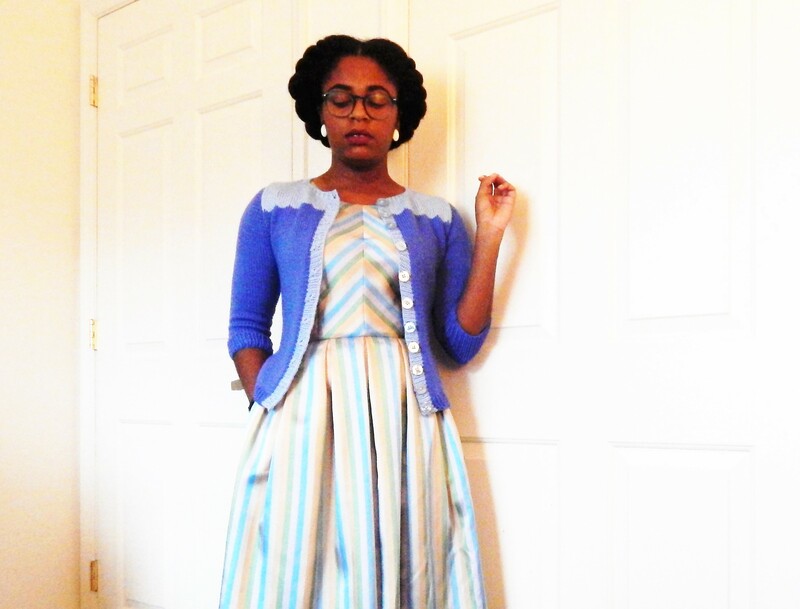 My inspiration for colors was the Paris Cafe cardigan by Modcloth. Initially, I was thinking about going with the yellow color scheme. However, I don’t own a true blue cardigan. So, I went with Cascade 220 Superwash in hyacinth and baby denim. I really like the results. The buttons came from Joann’s and I am surprised that I found such a perfect match. 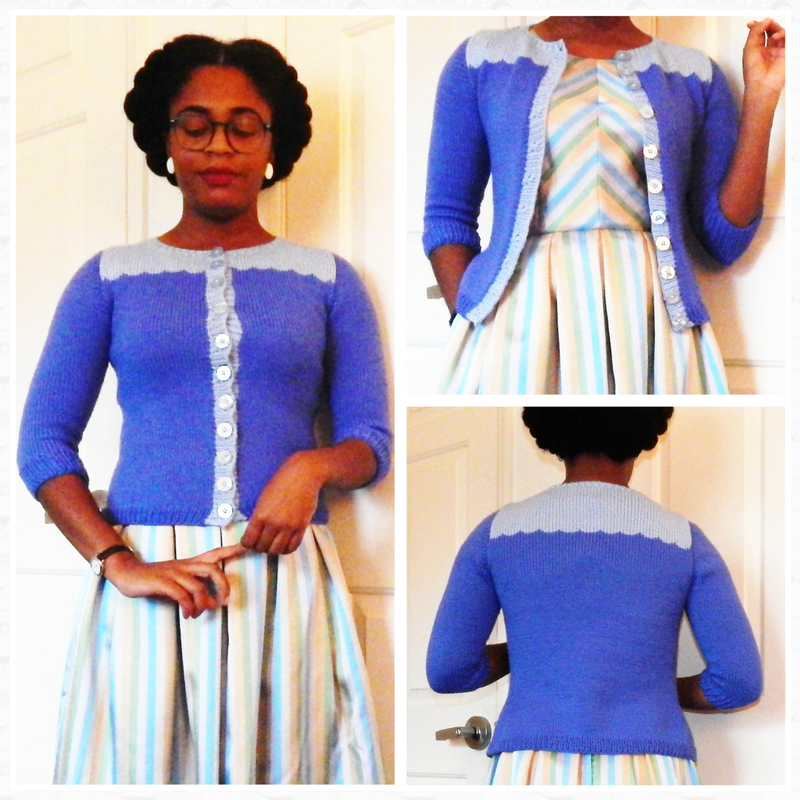 I didn’t want contrasting buttons because I wanted it to streamline with the button band. 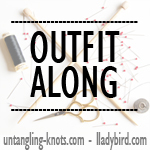 Overall, this was one of those great and simple patterns for netflixing and relaxing.